The ORIGINAL! Haptic Lab creator Emily Fischer invested a couple of years of analysis and development to realize the woman stunning dream of a ship that can rise using the wind through the blue...of the sky. We are thrilled to aid the girl launch it out to the world. Yes, these kites can travel (and do this best in a solid wind, on a beach or hilltop.) We also think they appear dazzling inside suspended from the roof. Each kite is handcrafted by an avowed fair-trade team, in collaboration with Balinese artisans solely for Haptic Lab. (There are many pirates available, therefore cannot fall for their knock-offs. Support Emily's fantasy and her honest production practices.) The materials consist of locally sourced bamboo and nylon. 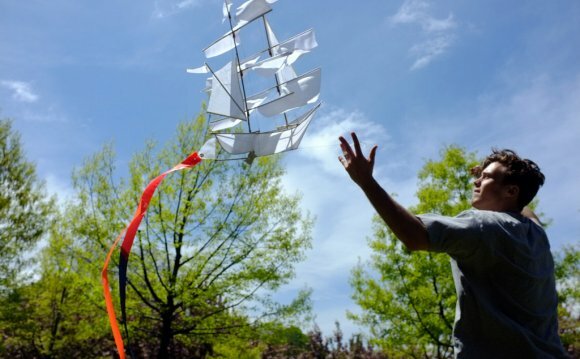 These kites evoke the birth of modern-day flying, as soon as the Wright Brothers and Alexander Graham Bell utilized wood-framed kites within their search for breakthrough and innovation. Each kite comes with Haptic Lab's signature Baltic birch kite handle, covered with braided Dacron traveling range and made in New York City. Emily Fischer along with her tiny group of artisans apply a mandate out of their Brooklyn studio as elegant as these kites while the hand-stitched City Quilts (additionally on this website): "We look for to alter the world of making goods to result in transparency, simplicity, durability and consciousness."